ATV training may be FREE for you and eligible riders in your family if you have recently purchased a new ATV. Your state also may offer free or subsidized training for younger riders through the ATV Safety Institute. Whichever the case, just be sure to get signed up before your try riding, as you’ll also learn key ATV safety tips crucial to your first ride. If you have recently purchased a new ATV, check to see if you’re eligible for free ATV training through our Online Enrollment System or by calling 1.800.887.2887. 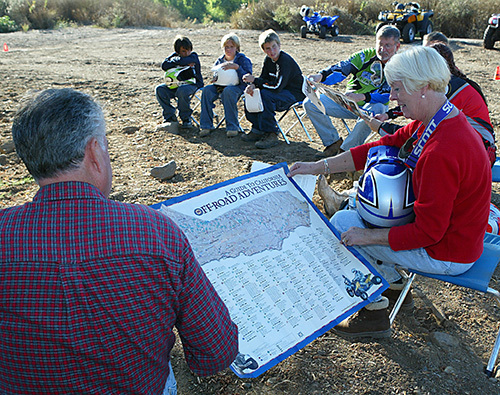 If you live in California, ATV training is free for all riders ages 6 to 17 regardless of purchase through support from CAParks OHMVR Division. If you live in Oregon, riders ages 6 to 15 can take the ATV RiderCourse for $15 through a subsidy from the Oregon Parks & Recreation Department. For those not eligible for free training, the RiderCourse can be taken for as little as $55 for riders ages 6 to 15, or $150 for riders 16 and older. If you take the ATV RiderCourse and then decide to purchase a new ATV, you may be entitled to a full refund of the cost of the course as well as additional incentives from the manufacturer. Call ATV Enrollment Express toll-free at 1.800.887.2887 to find out more.